JULIE!!! I know how hard it was for you to make this decision, I also know you been considering for a long time, but you are doing the right thing. You have a lot in your plate; you are a superwoman and as I told you many times, I really don’t know how you find the time to do everything you do. We met thanks to your blog and that’s something I’ll be always be grateful for. You are an awesome woman and I’m honored to be your friend. I’m sure we will continue talking about books and I’m also sure you will enjoy reading more because you won’t have the pressure you have been having lately. Reading should be something we enjoy, not a chore. You know where to find me and I’ll be always be here for you. And while you might miss doing YMKAC, you certainly won’t lack for things to fill your precious 24/7s. I often wish that I had made different choices when my family was younger and I was trying to do too much. It’s rough to wonder years later how doing things differently might have worked out. So, thanks for the great site, with its heart, its laughs, its great tips and insight. Best wishes for you and your family, and always try to leave time to read! Oh Julie… I can only imagine how tough this has been for you. I have enjoyed your blog over the past four years and will miss it greatly. I had noticed the less frequent posts and that you stopped commenting over the past year, but I always hoped you’d be back again. With that said, you are what makes your blog such a joy and I hope that I will continue to see you on Twitter (since I don’t frequent FB all that often). You have been a wonderful online friend, and I so enjoyed hanging out with you and Marcela in NOLA. Sorry to see you go but I understand. I’ve been on the fence about continuing too. As kids get older they need more of your time and family should come first. I’ll still stalk you on Goodreads and Twitter. That truly was a difficult decision, but I’m glad that you’ve found a way to balance your needs and wants in a fashion that best suits who you are now. I had similar issues when I was a writer/review/gamer and I finally realized that something had to give. Thank you for all you’ve done before and thank you for letting us know where you’re going. So many blogs just drop off the face of the internet without word or warning. Looking over at your collage, it seems that we share a lot of likes, so I’m pretty excited to look up the authors I hadn’t encountered before to see if I’d like them. I’m so sorry to hear that. I understand completely. I’ll still stalk you on Goodreads. Oh I am so going to miss you!! You were the first blogger I found on twitter!! Thank you so much for all the great reviews! Being a mom and wife I sure know where you are coming from. Maybe someday you can begin again, like when the kids leave home lol I’m going to miss you!! I’m definitely going to miss your blog! But I do understand why you are closing it down. Good luck in the future! and thank you for the final giveaway! Perhaps when the children gets older you will feel like coming back… we will see becaus eit’s not teh priority now just never forget that you are appreciated even far away and that you are more than a mother yes you a fabulous an wonderful caring person! Oh no, I’m so sad to see this! You definitely need a break with all those kids, though! Good luck with everything! Though I totally support it, blogging does take a lot of time and effort. I will miss your blog! Julie…im sorry to see u go but blogging takes a huge amount of time so i can totally understand! Totally understand how you feel Julie! I stopped doing my blog for many of the same reasons as you. It was fun while it lasted but I just couldn’t keep it up. Hope to still see you around Twitter. I love your blog and I’ll miss you. I totally understand how things change. Change is probably the only constant. How long will you keep this site live? Or will you delete this? Don’t ever apologize or feel guilty for putting yourself and your family first. While I totally love your blog and look forward to each new post, I won’t begrudge your want and need to live in the now of the real world 🙂 Do what brings you joy and don’t look back! Best of luck to you and I only wish you the best. 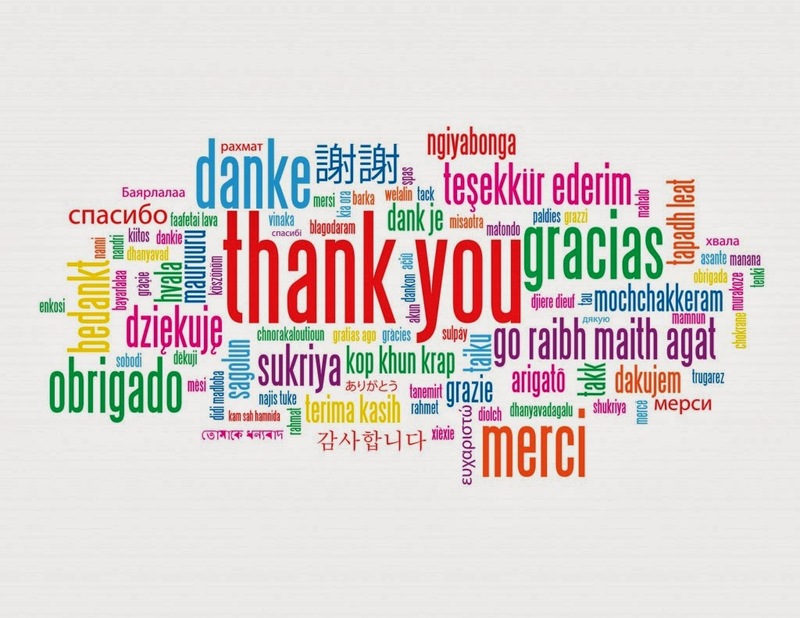 Thanks for all of the hard work and fun and awesome author spotlights. 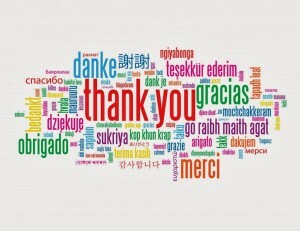 The time and effort you’ve put into this blog has been much appreciated and noticed, I hope you know!!! Oh no, I’m so sorry to hear that you are shutting down, but it’s understandable. A blog is just so much work. 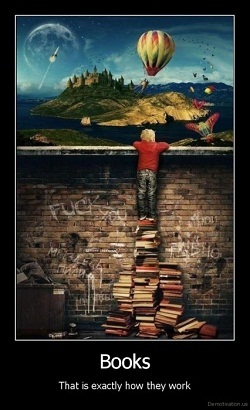 Also, I can totally see how it could take the enjoyment out of reading. One reason I’ve never started one myself is that I never want to feel like I’m “forced” to read a particular book at a particular time – I have my book club for that LOL. I could always count on your blog for a fun review, a thought provoking question, or just for some giggles. We seem to have pretty similar tastes, so I always enjoyed seeing what you were reading. Best wishes for the future. I’ll miss you! I’m going to miss your posts, especially those that showcased your sense of humour and gave me a laugh. Yours was one of the first blogs I started following – thank you for four years of reviews news and laughs and enjoy your new me time. I am sorry to see you go. I will miss reading your posts and reviews. I started helping a friend run her blog while she went back to school and found out how time consuming it really is, so I understand your decision. All the best to you and thanks for the last giveaway. Julie…I totally get it. I don’t have any kids and it’s hard for me to keep up with my blog. I’m sorry to see you retire your blog but I’ll keep up with you thru Goodreads. Good luck and I hope that not doing the blog makes things easier and frees up more of your time for you and your family. Lover Reborn, Lover At Last, The King, Gunmetal Magic and Up From The Grave. But seriously, I can’t blame you. I can’t imagine doing what you do, and I’m single with no kids! Thanks for all the years of great reviews and much amusement. 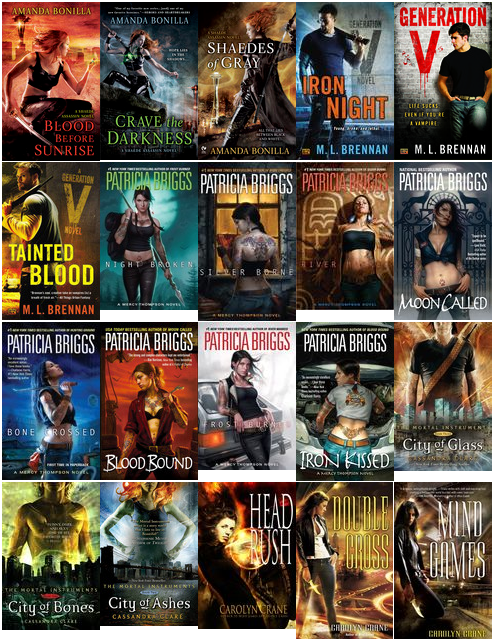 Yours has been one of my favorite book blogs. I’m sorry to hear that. I’ve enjoyed your blog and will miss it, especially your questions of the week. But we all need to take time for ourselves. Take care and good luck! Thanks for all of the great reviews, quirks and silly stuff. We’ll miss your posts, but life comes first. 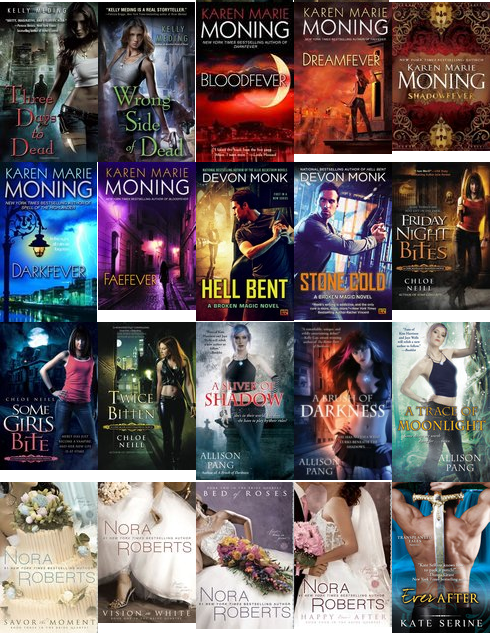 There are so many temptting books on your list, but I’d go with Devon Monk’s Hell Bent and Stone Cold, ML Brennan’s Generation V, and Sierra Dean’s Something Secret and A Bloody Good Secret. Thanks for the great giveaway and all the best! 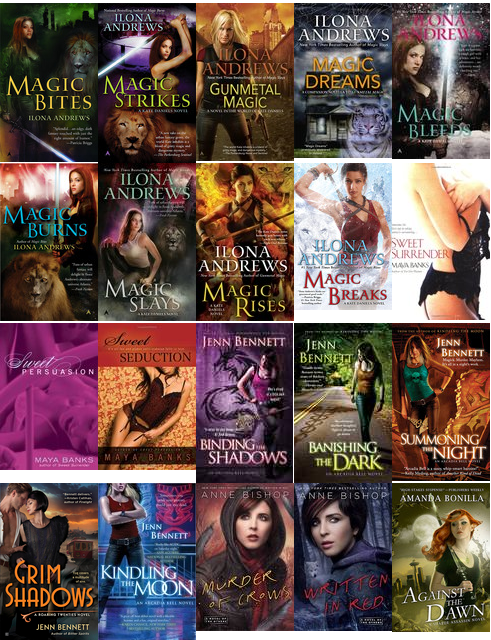 If I needed proof that your blog was one of the ones I connected with most, it was looking over your books and realizing that there were barely 5 that I didn’t already have! I have it sent to my work email (if only they knew:) so it was a frequent bright spot at the beginning of the day. Good luck and enjoy the kids. And the books! HI Julie, I don’t often comment, I’m more of a silent appreciative blog follower but let me say that it has been a real pleasure following your blog the past couple years. I completely understand your decision, life evolves and us along with it. I ran a guide or Scout unit for 12 years until my eldest was 1 and I couldn’t manage it with a job as well so I take my hat off to you. Now it’s all I can do to juggle job, 3 kids and fitting in my much appreciated reading time! Good luck with what your future brings and a very big thank you. My book picks would be ones I haven’t yet read but mean to! They are Written in Red, Grim Shadows, Generation V, Three Days to Dead and Hounded. Before blogging, I was a wife and mother. I didn’t do much for myself at all and I had actually lost who I was as a person. Blogging and reading reminded me that everyone NEEDS something that is THEIRS and everyone deserves to have time for themselves – mothers and wives included. Your reasons are almost identical to why I quit my blog. I just couldn't keep up and it was affecting my home life. I was lucky in that Parajunkee was looking for a romance reviewer and now I'm still blogging but it's just one book a week, and I don't have to keep up with all the 'housekeeping' required to run a blog. I'm sorry to see you go, but I'm glad you found something else that makes you happy. It was nice to (briefly) meet you while you were here in NOLA. My picks would be: Magic Breaks, Tainted Blood, Shattered, Requiem for the Dead, Hell Bent. I’ll definitely sad to see the end of the blog, but I understand you need to do what’s best for you! Thanks for always having such wonderful reviews and hilarious posts. You’ll be missed! Dear Julie, Though I am sorry that the blog will no longer be updated, I am hoping that you will leave it up as there are a number of books that I still want to read and your recommendations have been really helpful to me. Thank you for doing the giveaway and I hope that one day you’ll be in a place to write for a blog even if it is not your own. 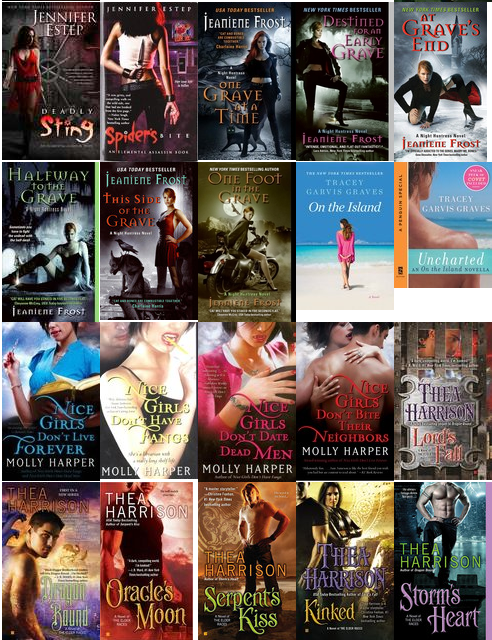 The books that are on your list that I would like to read (really all of them!) 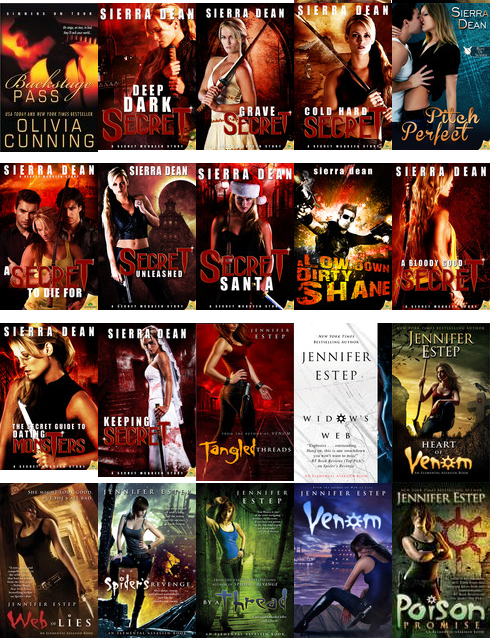 include City of Glass, Head Rush, Pitch Perfect, Another Kind of Dead and Sweet as Sin. Sad to see the end of your blog, I always enjoy getting your posts in my inbox. Wishing you all the best at finding new balance in your life! Aw, I feel kind of like we grew up together in the book world, and you know I’ve loved your blog, and your unique voice, and the spirit of fun you have added to the community. Also, your support of my books meant the world to me. Good for you for seeing your way clear to go forward like this, though. This seems like a smart decision, one made from the gut, and what fun it will be for you to spend more time with your kids and read whatever book you want whenever you please! I’ll look forward to seeing you around all the usual places. I can understand how much blogging can feel like work when you’ve got a million other things on your plate, but you’ve done a remarkable job for the past 4 years. Thanks again for everything! Take care of yourself! Oh Julie, so sorry to hear that. On the other hand I SO understand you. Things have changed in my life as well in the past year, and I neglected blogging. I keep hoping I’ll find a healthy balance between a very busy real life, relationship and blogging, but so far my reading has been quasi non-existent. I’m going to miss your blog a lot !!!! Oh, I’ll be sorry to see you go, I’ve always enjoyed your reviews and posts, but your decision is completely understandable. Thank you for all the great recommendations and take care! Thank you all SO much for your kind words. You guys are making me cry! lol To answer your question, no the blog will not vanish. It will still be up so you can still come back to ‘reference’ it. There just won’t be any new material posted. I, like everyone else, am disappointed, but I completely understand. It is one of the reasons I never wanted to start blogging was that I was afraid I would have less time to enjoy reading. But I have really loved your blog ever since I found it and the style with which you write. 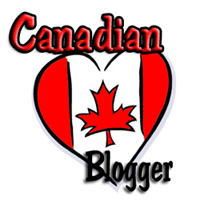 It was also really nice having a Canadian Blogger to follow (yay Canada! ), there have been quite a few series that I have discovered through your recommendations. I as well had read many of the ones you listed above. One of those series would be the Secret McQueen one. 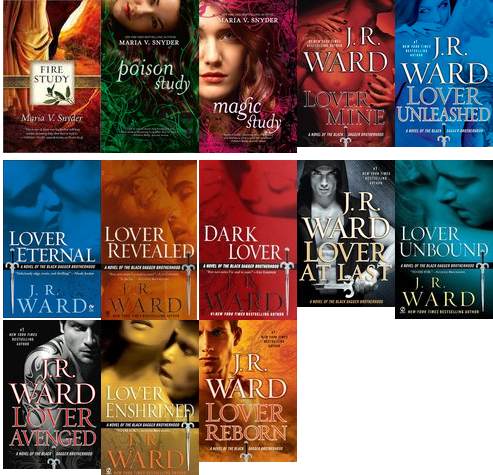 I read the first 2 books from the library and absolutely loved them, but they don’t have any of the others in the series, so those would be the 5 I would be interested in. This is something you decided to do for yourself back in 2010, and your decision to end it is just as completely yours. You are claiming you own happiness, by putting aside something that may have become more of a chore and less of a joy. Writing reviews and maintaining a blog is a lot of work. More so than I ever expected, and I was just posting reviews on Goodreads. I stopped writing reviews almost a year ago, because it started to feel like more of a job than something I did for fun. As adults, I swear life just keeps getting more and more hectic. The makes our personal time precious. What you choose to fill those stolen moments with should be something that is amazingly fun for you, something life affirming, and relaxing. And that “life affirming” pursuit might change over the years. I know this decision wasn’t easy for you, but I am proud of you for making it. I’m sorry to see you go but I totally understand and wish you nothing but the best. been a follower for about 18 months now and will miss the blog, but reading should be fun. That’s why I’ve never started a blog despite my reading addiction. Also, I’m a lazy person, and all your daily/weekly activities made me tired just reading them. I usually only came over when linked as I don’t read much Romance, but I do read some of the same UF as you. Hate to see a good blogger go, but would hate even more to see one hang on when it isn’t working. Were I to win I would love Generation V, Iron Night, and Tainted Blood from Brennen. Also the first Stacia Kane and Gunmetal Magic. I’m so sorry for this I understand this pressure to read even I don’t have a blog,it’s like I have a obligation to someone to say if the book was good or no! I hope you can find time to do what you like! I’m sorry to hear that you have to give it up, but blogging should be fun and not stressful. I’m glad you’ve made this hard decision to concentrate on what’s really important. Julie, I don’t usually comment but I loved your blog. I thought of a million things to say but really it came down to was THANK YOU! . I wish all the best. Thank you. I really enjoyed your blog.